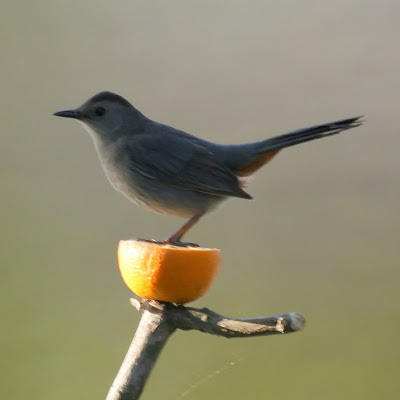 A pair of gray catbirds have been frequenting our yard. They are eating the jelly we put out for the orioles and one even drank the nectar. Here one has landed on an orange. The catbird has been making a wide variety of calls. It's the bird that sounds like a crying baby at times and has a wonderful song other times. Chris has two nicknames for the catbirds, jelly heads or silly singers. 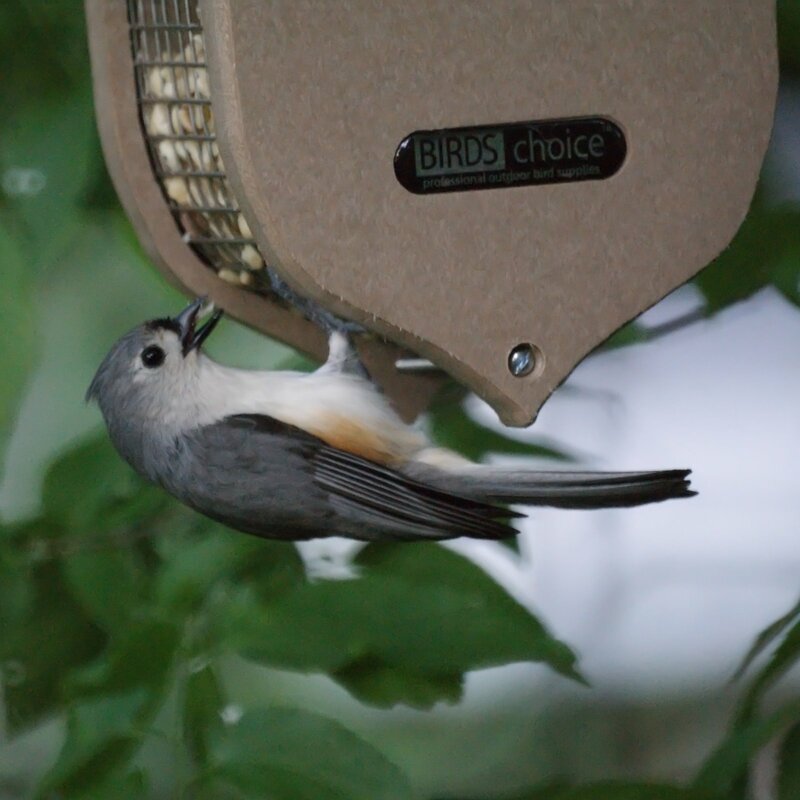 This tufted titmouse is enjoying the peanut feeder.